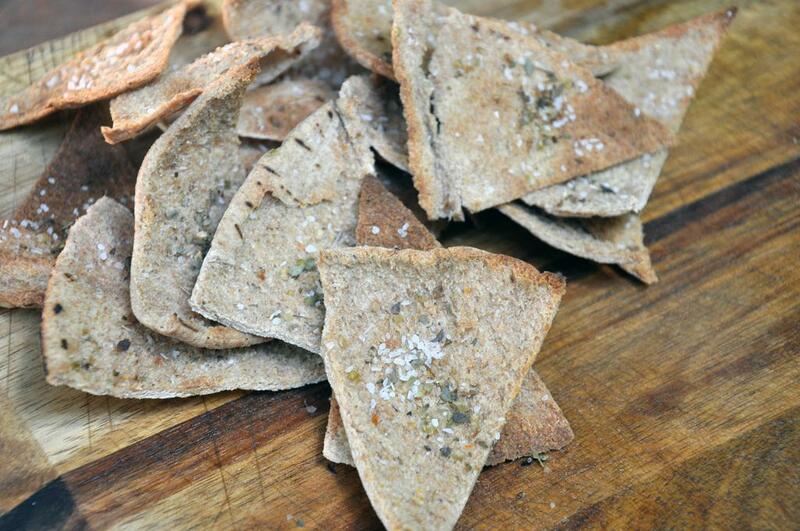 Follow my instructions for Homemade Pita Chips, but replace the smoked salt with the dried oregano and kosher salt. Let cool. 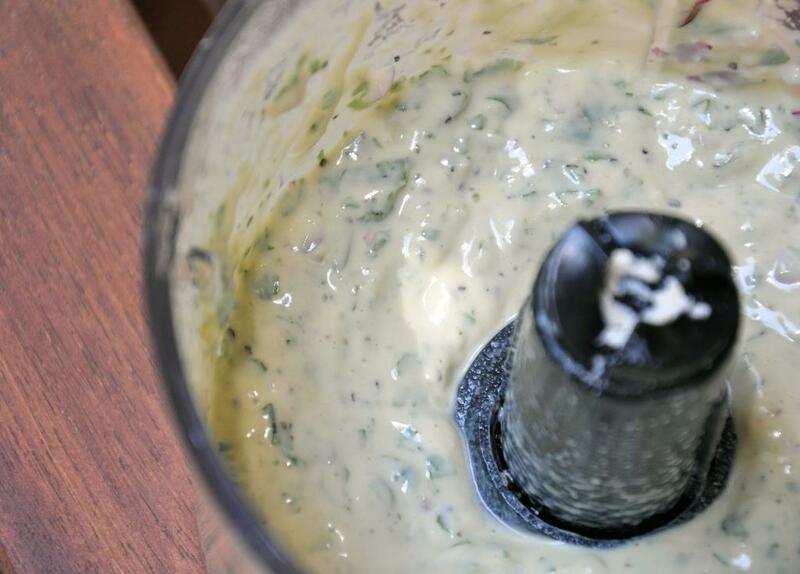 Meanwhile, make the dressing by pureeing the tofu, basil, half of the red onion, EVOO, vinegar and black pepper in a food processor or blender until very smooth. Set aside. Cook tempeh bacon in a medium skillet sprayed with cooking spray over medium heat until browned on both sides. Remove and let cool. 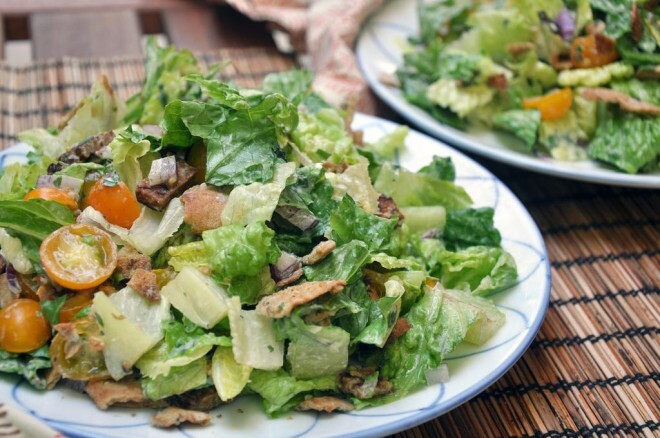 To assemble the salad, place the lettuce and tomatoes in a large bowl. Break up the pita chips into small pieces and add to the bowl. Chop tempeh bacon into 1/2" pieces and add to the bowl. Add 3-4 Tbsp of dressing and toss everything well to coat. Divide among two plates and serve with remaining dressing. Thanks, Howard! This one is particularly yummy…Enjoy! I always get SO HUNGRY after your new post each week!